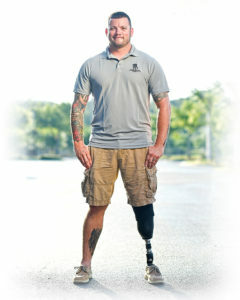 Purple Heart recipient JU student Sean Karpf, who spent 17 months in recovery after an IED explosion in Afghanistan. To pay tribute to its active-duty and veteran students who are recipients of the Purple Heart medal and who made great sacrifices to ensure U.S. citizens’ freedoms, Jacksonville University is dedicating two parking spots on campus in collaboration with the local Military Order of the Purple Heart Chapter 524. The ceremony takes place at 1:30 p.m. Monday, April 3, on the campus at 2800 University Blvd. N. and will include remarks from JU representatives, local Purple Heart chapter veterans and Purple Heart student veterans. JU student Sean Karpf, who spent 17 months in recovery after an IED explosion in Afghanistan resulted in a left below-the-knee amputation and a traumatic brain injury, will make remarks. 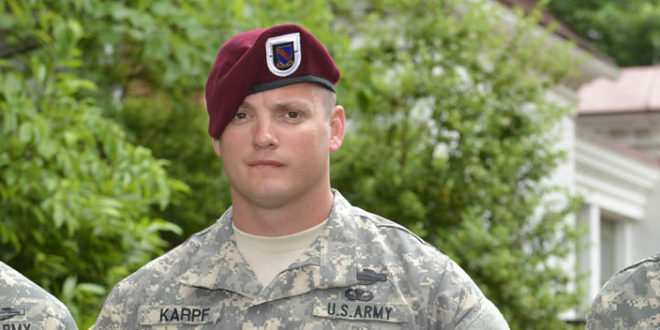 Karpf, who received his Purple Heart in 2013, is a frequent speaker and former member of the U.S. Army’s Warrior Games Team. One of the dedicated JU parking spots is in front of the Council building across from Historic Swisher Gymnasium, and a special Purple Heart parking sign will be placed there for Monday’s event. The other sign will be placed in the parking lot in front of the Gooding building near the front of campus. 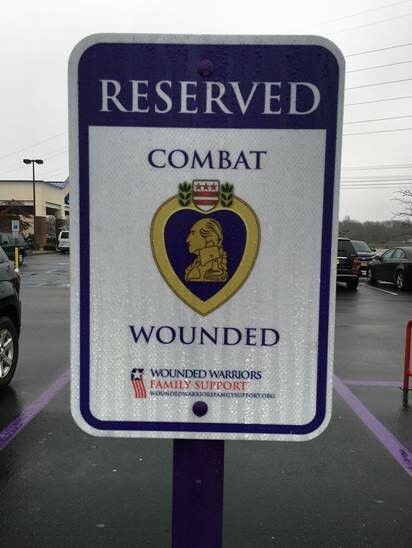 The signs are being donated by the local Purple Heart chapter. There are an estimated 1.8 million Purple Heart recipients nationwide. More than 10 JU students are medal recipients.